WHAT EVERY OPTION TRADER NEEDS TO KNOW. 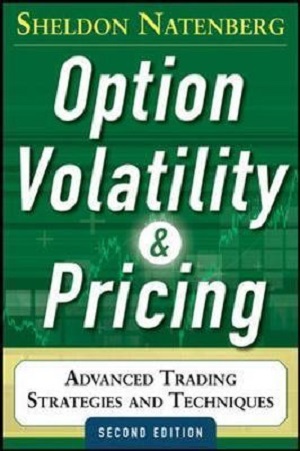 THE ONE BOOK EVERY TRADER SHOULD OWN.The bestselling Option Volatility & Pricing has made Sheldon Natenberg a widely recognized authority in the option industry. At firms around the world, the text is often the first book that new professional traders aregiven to learn the trading strategies and risk management techniques required for success in option markets. Clear, concise, and comprehensive, the second edition of Option Volatility & Pricing is sure to be an important addition to every option trader’s library–as invaluable as Natenberg’s acclaimed seminars at the world’s largest derivatives exchanges and trading firms. You’ll learn how professional option traders approach the market, including the trading strategies and risk management techniques necessary for success. You’ll gain a fuller understanding of how theoretical pricing models work. And, best of all, you’ll learn how to apply the principles of option evaluation to create strategies that, given a trader’s assessment of market conditions and trends, have the greatest chance of success. Option trading is both a science and an art. This book shows how to apply both to maximum effect.